My Life with Whitney’s | Nauval Yazid & His Words. I was 11 going to 12 at the time. 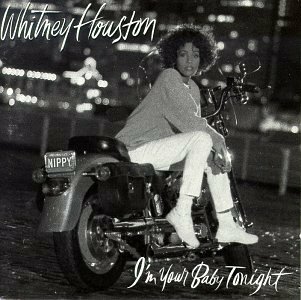 Me and my sister started sparing our pocket money to buy cassettes, and we bought ‘I’m Your Baby Tonight‘. It was her first album that we owned, and I listened to that while studying for my exam. Was it the album that caused my exam grades bad? If it was, I certainly did not mind! After all, I remembered most the nights I was enchanted by her vocal power in “Miracle“, forever an underrated song about losing and finding the love within. I could not contain excitement when I finally saw the video clip of “All The Man That I Need” in Gita Remaja quiz on TVRI, back when private TV stations haven’t reached my hometown yet. 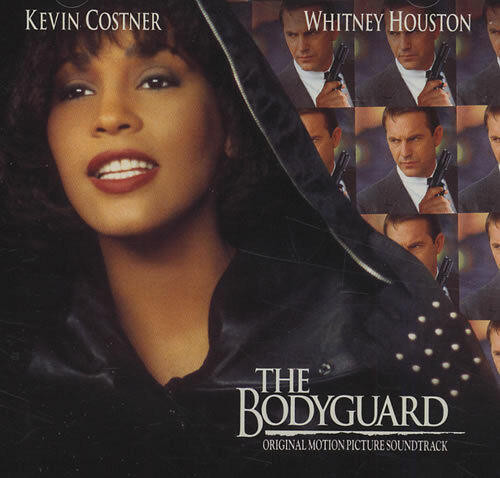 The excitement continues more than a year later when her phenomenal film ‘The Bodyguard’ and the famous soundtrack broke out. Again, we broke our savings to buy the cassette, much to our father’s curiosity. He eventually saw the film first, and warned us not to watch the film because it was not suitable for our age at the time. Oh, the joy of being naughty pre-teenagers! We sneaked out to watch the film eventually. In fact, I remembered that even when the trailer of the film was screened in cinema, people clapped. I watched the film with my female friend on Valentine’s Day. The film came out to our hometown way late, and was it supposed to be a date? Who knew? I couldn’t even remember her name, but what I remembered most is Whitney’s songs. Give anyone a mere “and I”, and everybody instantly know what to follow. I even reached a point when I switched off radio that played “I Will Always Love You” at the time, but then I found myself humming to the song. A few years passed when the hype slowed down, when finally local radios decreased the frequency of “I Have Nothing“, “Run to You“, “Queen of the Night” and “I’m Every Woman“. These few years also marked the big change in my life when I decided to live alone in high school era. No more shared albums, now every cassette bought came out of my own pocket money. 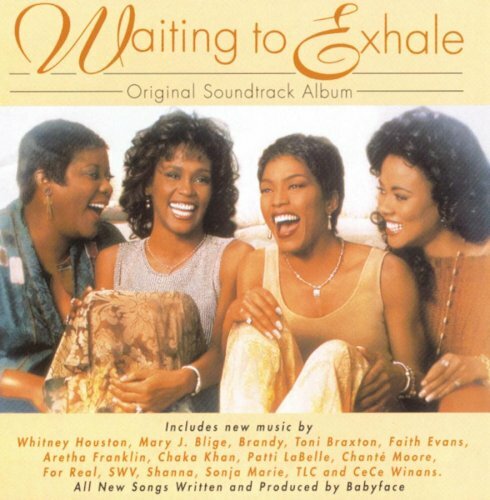 Included in these was ‘Waiting to Exhale’ soundtrack. Her assured, calm voice that begins “Exhale (Shoop Shoop)“, with comforting lyrics to match, makes the song my timeless favorite. Of course, whatever albums and songs you listen to and you find yourself liking at the time when you grow up are bound to be your favorite. For me, the entire album suits the purpose. I could get sentimental over “Count on Me” whenever I have some personal moments with friends, and the rest of the album never dates. A year after the album was out, I had a brief liking with “I Believe in You and Me“, from ‘The Preacher’s Wife’ soundtrack. I was in my last year of high school, strangely the most fun time I had in high school. I didn’t pay much attention to the song, but over the years, the song grew in me. The tinge of piano in the song always gets me, every time. Then came college years. I had two separate college era: the one I started in my hometown, and the other I continued overseas. Weirdly, the former saw me drawn to R&B and soul as I discovered the greatness of the genres. It was only fitting that Whitney’s ‘My Love is Your Love‘ album is all about showing her groove in those genres. All the more reason to justify that this is her first album I bought on CD! This was the time I blasted the songs on my compo (a gift for graduating with good grades, the opposite of the other, aforementioned exam! ), and I nodded along “Heartbreak Hotel” and “It’s Not Right But It’s Okay“, looking cool while nobody was actually looking. Exception was still made, though. After all, she made the news by making a duet with Mariah Carey in “When You Believe“, the theme song of ‘The Prince of Egypt’ that I saw on pirated VCD. And her non-single track in “You’ll Never Stand Alone” was the song a friend liked, just before I left for my study overseas. Enter the time of mp3s, downloads, and years of news about her erratic behavior dominating our conscience. The only song in the later college years that cling true to her greatness is her campy duet “Same Script, Different Cast” with Deborah Cox. To date, listening to the song brings out the guilty pleasure quality instead of greatness in her classic works. A few years passed again. Occupied by life-changing events like job and romance, her name had been off radar, except occasionally on iPod that has already been completed with her earlier works by now. Then, came her album ‘I Look to You‘. Her voice has changed greatly. No more enviable big voice with ranges so wide that made our jaws dropped. Much like Billie Holiday in her last years, now Whitney had to make do and rely on her new voice, which could have been made into a deeper works, like Holiday’s Lady in Satin album. Instead, she relied on ballad, which only worked on the sole single of the album’s namesake. In fact, the song has undeniable solemn quality that tugs our emotion. I have to admit that this is one of the songs I listened to as I got through my post-breakup mourning period, which began a few months before the song was released. Who would have thought that that was the final chapter of her prowess? Yet, we have actually been secretly worrying that this would come. After Michael Jackson, after Amy Winehouse, deep down we must had had concerned about her. With constant coverage on her ill-fated life widely exposed, we saw an angel had fallen in front of our eyes all these time. Yet, we could only saw in pity at a great distance, unable to help her. What we have done, and will do, is to keep her in our prayer. We remember her as the one who gave us the greatest love of all at once, through her soaring voice that lifts us above. Her voice in her songs made us feel good. We will pass those songs to future generations, preserving and remembering her greatness to the end of this lifetime.